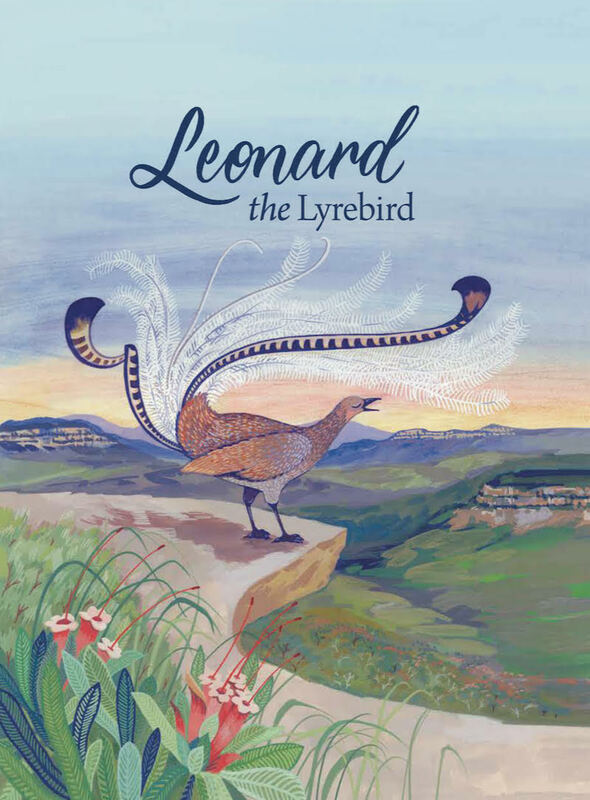 In 2018, Jodie McLeod published her children’s picture book Leonard the Lyrebird thanks to a crowdfunding campaign. Both McLeod and Eloise Short, who did the illustrations, live in the Blue Mountains where the bush animal story is set. 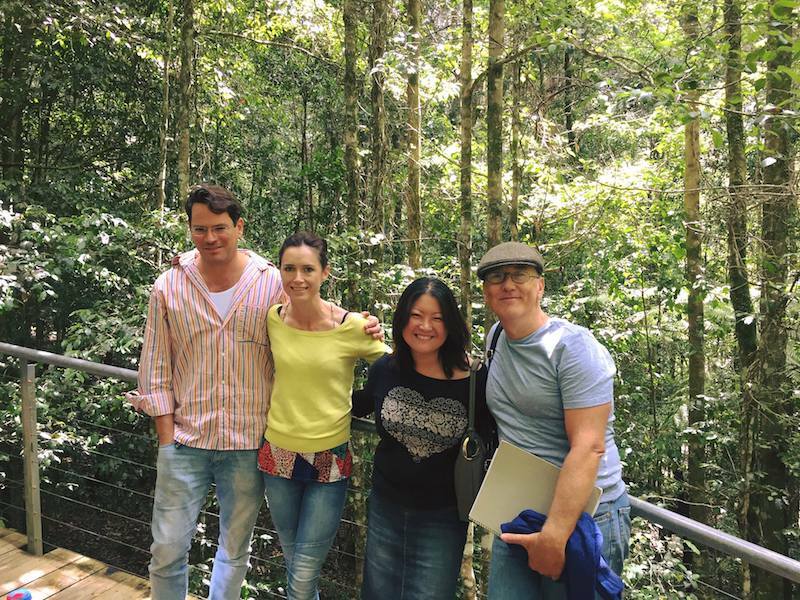 Now Leonard the Lyrebird is to hit the stage in a brand new production called Leonard the Lyrebird: A Musical Story, which Mountain Concerts and Scenic World Blue Mountains are presenting this month. The show features an original classical composition by Ian Munro to be performed by pianist Grace Kim (who is also the producer), cellist Teije Hylkema, and clarinettist Philip Green, with Munro himself as the narrator. Ian Munro spoke to Limelight about the project. Was it you who was inspired to write the composition based on the book or were you commissioned? I was asked by Grace Kim to write a musical setting for Leonard before I’d read the story or seen the illustrations. Grace’s description of the project immediately took my fancy, as I’ve always loved the genre of story-telling in music since I first heard Sergei Prokofiev’s seminal Peter and the Wolf as a young child. To write something along those lines with an Australian inspiration was always going to be enticing. Once I met Jodie and read her beautiful story, I was hooked, and Eloise’s magical illustrations sealed the deal. What is it about the book that appealed to you? The story is about friendship, love, danger, fear, bravery, pride, wisdom, all wrapped up in a little parcel of deftly chosen words, subtly alliterative and succinct. That it is told from the perspective of two lovely lyrebirds is such a charming idea, and the way Jodie emulates the magnificent range of sounds these bird geniuses display is a delight. Did you know Jodie McLeod before working on the project? I met Jodie at Scenic World in Katoomba after we had corresponded a little about the project. We descended to the forest floor with Grace and the park rangers to inspect the venue and were all treated to a bit of Leonard-like showing off in person (or ‘in bird’, to be accurate). Have you worked with Grace Kim before? I am old enough to say that I first met Grace as a brilliant young student at the Australian National Academy of Music in Melbourne, quite a number of years ago. I may even have given her a brief piano lesson, if memory serves. It’s a special pleasure to work, later on, with gifted young artists who become one’s colleagues, and Grace’s work in the field of music for children with autism is an exciting and important endeavour. How long is your Leonard the Lyrebird composition? Such a simple question, yet the answer is not as clear as one would expect! Because the work will still be in partial development right up until the first show (and possibly after), it could be anything from about 20 to 30 minutes. Without giving too much away, I decided to treat Leonard’s many imitative calls as a children’s round, so there will be a bit of singing for everyone at the start to warm up. This might take a while, depending on the difficulty and/or fun we have. I believe you are the narrator? Is that something you were keen to do? Well, yes, but I’m also a little daunted by the prospect. I think that my public reading skills leave a lot to be desired, but Grace seems to have confidence in me and I’m willing to give it a shot! How do the words work with the music? In lots of ways. One of classical music’s neglected genres is the melodrama for spoken voice and piano, although some of the most successful and famous works were for spoken or semi-spoken, semi-sung voice and ensemble (Schoenberg’s Pierrot Lunaire and Walton’s Façade for instance). In these works, the voice is spoken as the music is played, and is rhythmically notated. With Peter and the Wolf, Prokofiev’s narrator speaks between the musical numbers, for the most part. I’ve employed a mixture of the two, as well as extensive freely-spoken words in amongst the music. The children’s round, of course, is to be sung. I believe you have written the score for piano, cello and clarinet. Can you tell us a bit about the composition and your choice of instruments? Possibly my three favourite instruments, alongside the voice and the organ. I wanted a small ensemble, capable of expressing bird-like sounds (clarinet), heartfelt emotion (cello), and storytelling (piano). In fact, we will be using an electric keyboard as piano, so that we can take the show to the forest floor and also explore some of the more ‘lyrebirdy’ sounds. There is, after all, the noise of a bunyip to be considered and conjured up. Have you drawn a lot of your musical references and sounds from the Blue Mountains where the story is set? I have imagined a world enclosed by the beautiful forest I experienced, and by the echoing walls of the canyons at Katoomba. It is a musical work of melodies and harmonies, with references to real animals and birds, local to the area and from further afield, but mostly imaginative and fantastical. Do you yourself live in the Blue Mountains? No. I’m a Melbournite who has spent a large part of his life in other places: Vienna, London, Tasmania and Lake Macquarie. The Blue Mountains, stunningly beautiful, would be a very nice place to live, though. Did the composition come easily? How long did it take to write? I’m quite a slow composer until I get going, and then things can progress very quickly. With Leonard, I thought about it and worried about it for months, without writing more than a few notes. Then, on an afternoon walk in suburban Melbourne, the first theme came and I jotted it down when I got home. The rest followed and the writing was a great pleasure over the two months or so it took to complete. Did you write the music specifically with children and families in mind? Absolutely. Music for children is of great interest to me, and has been for as long as I can remember. Composers should not ‘stoop’ to write for younger people; the best music speaks to all of us, to those of us who have been around a while but who have preserved the child inside, and to those who are still children in years but will be adults all too soon. Bach did it, as did Bartók, Kabalevsky, Prokofiev and Schumann, all writing in such a way that was captivating for anyone at any age who has the heart to love music. That’s what I’ve tried to do, too. Five string quartets and five piano trios have advanced to the Semi-Finals, which take place today, ahead of the Grand Finals on Sunday. James Crabb is set to open his first Festival as Artistic Director, which includes everything from Chopin to wind harps to music theatre. 100 years of Debussy, visits from notable conductors and excerpts of Brett Dean’s Hamlet are among the highlights. ★★★★☆ Neat programming sees old and new meet borrowed and bluesy.